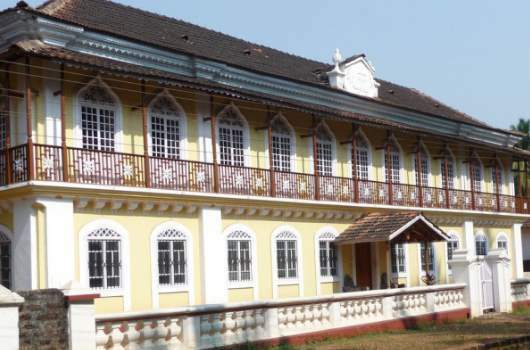 In Porvorim, half-way between Panjim and Mapusa, reflects more the joy of possession than reverence for style. Piled up in side-boards and cup- boards are rare pieces of cut-glass, silver, blue china, and ivory. The objects d’art is yet to be categorised and dated. But the sheer quantity and doubtless quality of most of the items are quite simply astounding with Indo-Portuguese furniture and European and Chinese knick- knacks. The Italian floor tiling is the highlight of the parlour. Above the exquisitely carved sofa is a Dutch tapestry, a replica of Rembrandt’s Night Watch. The love- chair is said to be 200 years old.